Tired of NOT knowing if the dishes in the dishwasher are DIRTY or CLEAN? This little jewel takes the guess work out of that. When you un-load the dishwasher, flip the magnet around to read dirty. 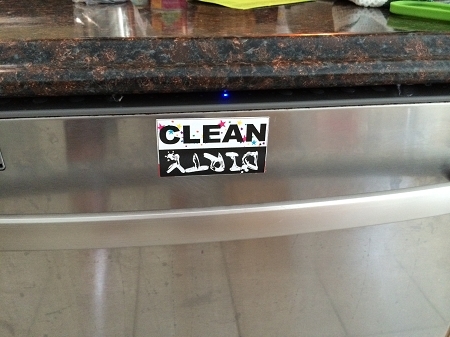 Once you START the dishwasher, flip the magnet to read CLEAN. Its that easy!